I am not new to A.M. Arthur's style of writing, nor am I a fan-girl. However, I am a fan, loving some of the books but not all. Lots of hits with a few misses. After having read most of the author's backlist, I'd have to say Body Rocks is one of my favorites, if not my top choice from this author. Arthur has the perfect formula, at least when it comes to my style of reading. Broken characters looking for redemption or healing, while finding love during the struggle. The pacing is steady, giving out just enough information to keep the reader clicking the pages without frustrating them for not giving out instant gratification. 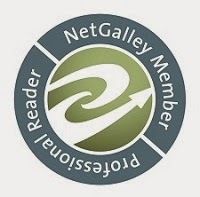 I'm a patient reader – I want the author to seduce me right along with the characters. I want to earn the information. I also need to identify with the human traits the characters possess. Arthur always provides these key needs of mine, and it keeps me coming back book after book. Not a fan of rockstar novels, the author is what had me reading. I was pleasantly surprised that this was about two separate indie bands, and their road to stardom. Two groups fighting for a coveted spot, with the winner receiving a contract. Two groups, two lovers – one will win, one will lose. Trey and Dom were well-rounded characters, both with unique, tragic backstories, which is pretty much an A.M. Arthur trademark. I was rooting for both, never deciding who I wished to win. Without spoiling the storyline, I read feverishly all day long, simultaneously wanting to know what happened next but not wanting it to end, all the while wanting more from the rest of the cast of characters. The next book is out in September, so the wait won't be long. Recommended to fans of MM Romance, especially those who enjoy music as a trope. Trey is in a band and trying to make it in the music biz. He works on the side for Off Beat, a little bar/club where live music and open mic nights give his band, Faded Daze, a chance to showcase every month. In walks Dominic, he's trying to exorcise some demons from his past that haunt him and attempts to play his violin in public for the first time in years. Trey is instantly attracted to Dom. While Dom is openly out of the closet, Trey is still putting on the illusion that he and his best friend, bandmate Danielle, are a couple. Both Trey's band and Dom's band make the cut for a local music festival that offers a recording contract prize. The two boys try to keep their growing relationship a secret from their respective bandmates, who are vying for the same recording contract, and secret from the public since Trey isn't out yet. Trey and Dom both have checkered pasts and issues with anxiety, and the story includes them falling in love while overcoming their problems. I thought Trey and Dom had awesome chemistry together and enjoyed reading their tryst moments. Lots of action keeps you turning the pages, and some angst with breakups, misunderstandings, and unanswered texts back and forth keep you hoping the boys can pull it together! However, I did find the competition and the two bands giving up so much for each other a bit unrealistic. I know when you live for music, most musicians wouldn't be okay with giving up their spot on a showcase or losing a band member to another band or even festivals accepting replacement acts last minute. That part of the story sort of had me shaking my head...like, nope, that would not happen. The boys are sweet and the story flows well. Even the slight overuse of "babe" didn't pull me from the story. All in all, I found Body Rocks entertaining, a solid 4 stars. This novel does a good job of pitting nature v. nurture when it gives us two leads with very different family backgrounds. Both men have hurt in their past, but find the attraction to each other something worth seeking out. Their path is most definitely not smooth, but with good friends in support, somehow things may just work out. Add in their amazing musical abilities, the fact that they are in competition with their bands pitted against each other, and the plot thickens. I liked all of it – from the slipping away to the meeting Dominic's family and every time in between. A.M. Arthur is a talented author, of that I have no doubt. 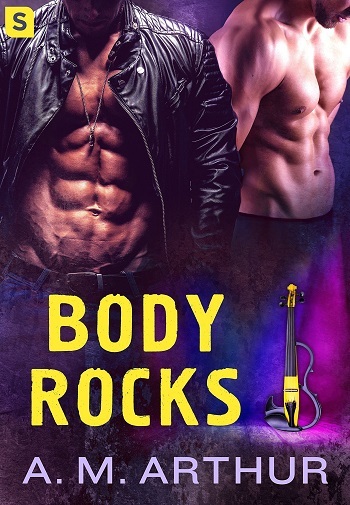 Reviewers on the Wicked Reads Review Team were provided a free copy of Body Rocks (Off Beat #1) by A.M. Arthur to read and review.